Divinity Original Sin 2 is an excellent RPG filled with character, depth and charm. It is a new take on old school RPGs where variety is king and every little thing can be interacted with to fundamentally change each encounter. With this comes a snag though. That old school mentality holds true with the difficulty. I am not against difficult games. Anyone who has read this site know of my love for Dark Souls. I like to be challenged. DOS2 also has several difficulty options so players can adjust on the fly where the challenge needs to be.That being said, I started my first playthrough on Classic (normal) difficulty and I have been having a real rough time of it. Each encounter felt less like a challenge to beat and more like hitting a wall, finding another encounter, hitting another wall and repeating the process until I found a battle I could actually win. Then after a few of these I’d cycle back through the previous encounters to see if my new gear and levels would help me win where I’d failed before. For many reasons, classic felt far harder than normal difficulty had any right to be. But the game was fun enough to stick with and I’ve picked up a few helpful hints that are making further progression far easier. Hopefully some of them might help other Divinity novices who are having a tough time with the game. Traders do not have a static inventory in DOS2. As you character levels up, more powerful weapons and armour will be added to their stock. This is good incentive to frequently return to weapon merchants to sell old gear and pick up anything new. Even a few extra numbers on your gear can turn the tide of a battle massively. I’ve gotten into the habit of quick saving before just about everything. It’s a little annoying but when every dialogue could go drastically wrong without warning, it is a good idea to be ready. If a battle is too hard then load a save just before it begins and try something different. Many players might not have a clear idea of how to best level up their characters at the start of the game. Luckily, as soon as you unlock the Lady Vengeance, there is a mirror below deck that can be used to freely respec your characters as often as you like. Fix mistakes you made before you knew what you was doing or mix up a character’s play style to try out some new abilities or weapons. Pump any points that are invested into unnecessary skills into ones that are helpful and you’ll see an immediate boost to your team. I can’t stress how useful summons are. My main character had some summon skills early on that I rarely used. After playing around a little I realised just how good they were. You are basically adding another character to your team for a few action points on a single turn. Once here they last several turns and are controlled directly by the player. They add an extra round of attacks each cycle and are nice meat-shields when needed. Now my Necromancer has a summon associated with necromancy rather than the summon skill so I have two summons and my four characters within the first set of turns in any battle. These two extra characters make all the difference. I recently found out that only the character who initiates a conversation is bound to it. The other members of your team can be switched to and move around like normal. So say there is a ‘boss’ character who initiates dialogue with you while their minions stand around waiting for the battle to start. You can split a character to enter the dialogue then switch to your three remaining team members to do as you please. set up oil barrels, kill off the minions, position them in the perfect positions, etc. When ready, swap back to the character in dialogue, finish off the conversation, the fight begins and the boss enemy suddenly finds themselves alone and surrounded. This also kind of works in a normal encounter too. If one character is split and triggers a fight, other members of the team can still move around. You can run them into the combat zone, or if the terrain and character is right, you can move them to higher ground and take a free shot with a ranged attack at any enemy in range. This will include that character into the fight but the initiating attack won’t be counted towards their action points. If played correctly, you can do this with all three extra characters, getting three free shots at a character to take out their armour before a single turn is taken. Sure, this is not the honourable path intended by the game but it is programmed to work so it’s hardly cheating. Look at it like glitched enemies in Dark Souls: The game screws you at every chance it gets so return the favour. All’s fair in love and war. You’ve probably worked out that marked barrels can be attacked to release oil/poison, etc. You can move every barrel and crate though. If you have time to prepare you can block pathways or box in characters to restrict their movement. This combined with the teleport skill can be a great method of separating or keeping away enemies or dealing with suicidal ally NPCs. Seriously. Teleport as often as you can. At least one character should always have the skill, if not more. Heavy hitting close combat enemy getting near you? Teleport them as far away as you can so they waste another turn getting back to you. Have a handy pre-made wall or enclosed space? Teleport an enemy so they are trapped. Teleport burning enemies onto oil. Teleport ally archers onto highground. Be inventive. 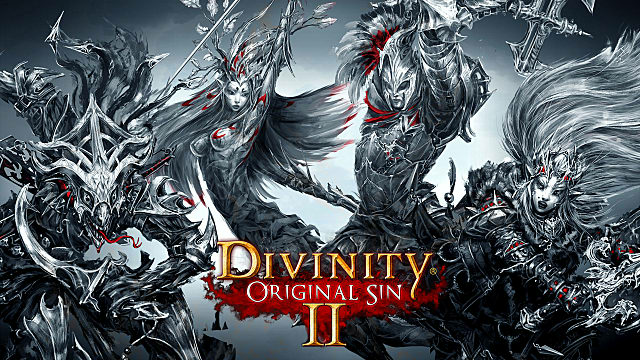 Divinity Original Sin 2 is an RPG and needs to be played like one. Explore everywhere and talk to everyone you can. You never know when you’ll stumble across a small quest that will give you just enough exp to level up or find some gear a little higher than your current. This also stops you getting frustrated with being stuck dying repeatedly in a fight. It’s an open world. Enjoy it and you’ll never know what you might find. Certain gear can be upgraded with runes. I was aware of the runes in my inventory but didn’t use them for the first half of the game. I’m the sort of player who likes to save consumable items for a rainy day. Why upgrade this sword when I change swords every hour or so? It would waste the rune. True, but they are easy to obtain and give a handy little boost to your equipment. in a similar vein to runes, DOS actually has a lot of items that I completely ignored for a long time. The only consumable I would ever use early on were health potions. But there are lots of different potions that do all kinds of things, from adding physical or magical armour to resisting elements, there are lots of ways to give you a little edge. As well as potions we have scrolls. These are single use skills that can be used by any character regardless of level or stats. I forgot about these until one of my characters was charmed by an enemy and started to spam skills that I know he hadn’t learned. Then I noticed he was using scrolls to fill a roll I had never intended him for. Who knows when a spare Fortify or Restore would come in useful. Take ten minutes and look through your inventor. See what you have and read through what they do. These are tools for your survival so familiarise yourself with them so you know when a situation occurs when one would be a big help. Money is so easy to come by in this game that I was never strapped for cash. Don’t be afraid to splurge on gear, potions or runes because you will make back any gold you spent after a few quests. Between looting everything and selling old equipment, you’re never far off that next purchase. Hopefully some of these tips help you out. If you have any other neat tricks or tips up your sleeve then let me know in the comments. Good luck with your challenges, fellow Godwoken.